AspiraTech’s founder started as a software training specialist with a Master’s concentration in Adult Learning Theory, and it shows in our approach to helping our clients succeed with software applications that can be a little intimidating. Salesforce has a very user friendly interface, which often hides just how complex it can be. There are almost as many exceptions as there are rules, and the nuances can be difficult to pick up on without guidance. There’s a reason why the Salesforce user guide is over 3000 pages long! 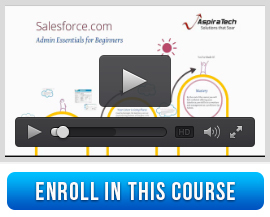 Additionally, many Salesforce users never had the proper training to begin with. Either the company self-implemented or the worker was hired after the system was launched. Getting all your employees using the system correctly to track all customer contact, potential opportunities, and customer feedback is absolutely essential for your success with Salesforce. Without that, managers can’t trust the data they see in reports and staff can’t keep track of all the important information about who your customers are and who they need to be contacting when. Whether on-site in California, by economical webex remote access, or through the production of custom training videos you can re-use with new hires as needed, we can train your staff so that they understand the system and have the ability to apply that knowledge in the field. And we can train your internal System Administrator so that they can apply best practices to enhance the system’s usability in accord with your business process. We recommend that you actually train at least 2 internal Sys Admins, so that there is backup when one goes on vacation or is out sick, in addition to the fact that it will allow them to collaborate on ideas for future system enhancements. Since our instructor led training is always customized around your company’s unique business process within the context of recognized best practices, and conducted within your own SFDC instance, you can be sure that by the end of training your Sys Admins will know exactly what changes they need to make, why, and how to make them, and your users will know how to most efficiently use the system to make their work-life easier. We will point out areas in your configuration where you could be getting more out of the system and how you could make the configuration more user friendly to facilitate learning with less effort. All AspiraTech training is delivered within a dynamic format that includes instruction, hands-on practice and the Socratic method. Our approach ensures that there is the thorough understanding of “the how and why” needed to truly master a subject. And our upbeat and friendly style will make sure your employees will enjoy learning and have favorable associations with the subject matter. This emotional component is often overlooked, but is vitally important for retention and application ability after class ends. Spend less $$$ – Training costs are per hour, not per student, so you can train more staff with the same training budget. Contact us now for a free Salesforce training project evaluation and price quote. 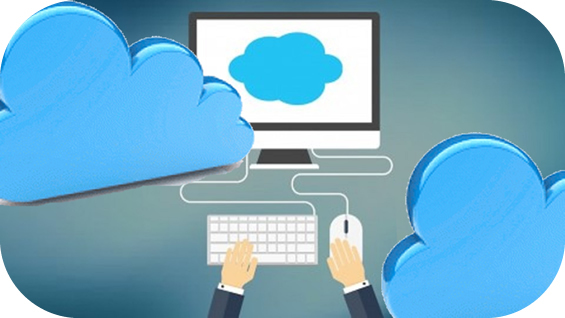 We absolutely love training people to master Salesforce and we do it at an affordable price that can make custom training a viable option for even the smallest training budget. Can you really afford not to utilize our expertise? Is live training outside your current budget, but you still need an internal System Administrator trained to maintain and extend your system? Then sign up for this “5 Star-Review” online training course that applies the powerfully effective Aspiratech training approach to the presentation of recognized Salesforce best practices. All the duties that a beginning Sys Admin would be expected to fulfill are taught in a progressive manner designed to facilitate depth of understanding and ability to apply on the job, including practice exercises to solidify understanding. Get this 5 star rated course for 30% off now! To receive the discount, just click here to Sign-up for our Salesforce Step-by-Step System Administrator Training course then click the “Take this Course” button and sign up to get unlimited access to the course. Join dozens of others who have already taken advantage of this limited offer to get more out of their company’s SFDC investment without needing to bring in an outside consultant for everything. Even if you don’t have time to fully devote to the course now, once you sign up you have lifetime access to the course, so register now to take advantage of this one-time introductory rate. For a limited time, get out new Salesforce New User training course at half price! Just use the following link to sign up with the discount coupon, and gain lifetime access to the course. All we ask is that if you enjoy the course and find it useful, you please leave us a review to recommend the course to others. It’s our success to be a part of your success with Salesforce. Sign-up for Aspiratech’s Salesforce New User Training course, and bring your new staff up-to-date with recognized best practices. If you are brand new to the Salesforce platform, see edition and pricing information for your company’s license access at Salesforce Editions or get access to a developer or at Salesforce free practice environment.